Dessert is always a nice finish, whether we’re talking about lunch, dinner, or a week of posts during Herb Week. And this is definitely a sweet ending. 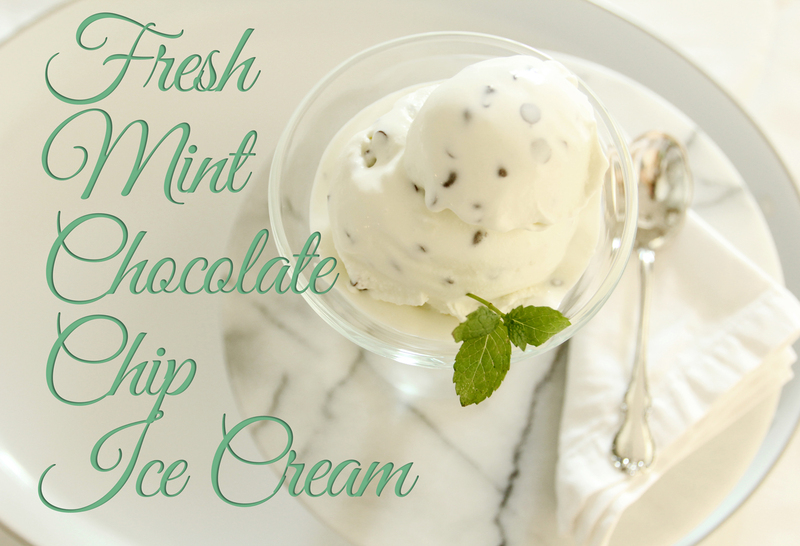 I’ve been wanting to find a good recipe for the mint in my mini herb garden, and since we’ve been making homemade ice cream like there’s no tomorrow this summer, it was the obvious choice! 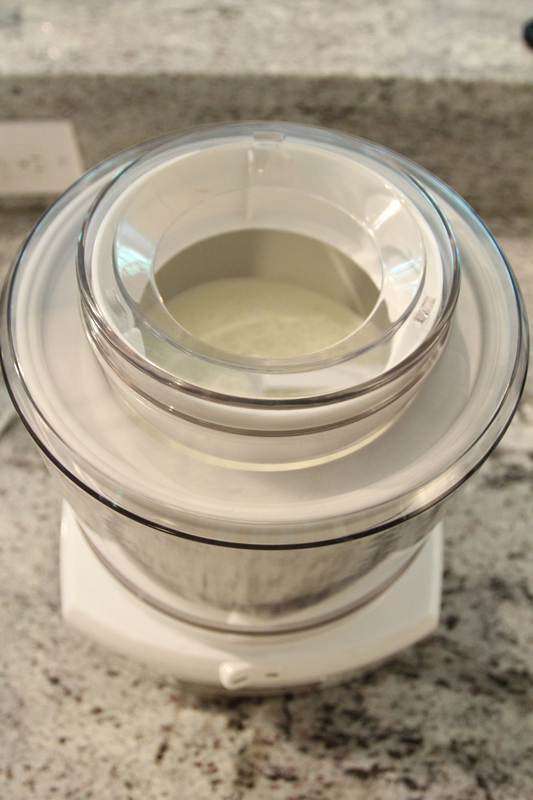 Our new favorite small appliance is this Cuisinart Ice Cream Maker . I bought it for my husband for Christmas, and it’s great. Each freezer bowl makes 1 1/2 quarts in about 20 minutes. No rock salt or hand cramps required! The recipes are pure and simple, and I made this Mint Chocolate Chip one as a slight variation from the basic vanilla in the manual. 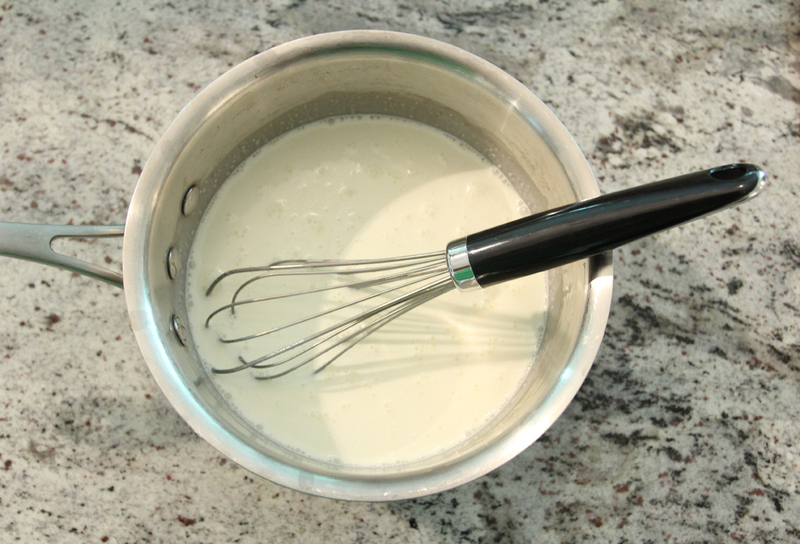 In a medium saucepan, whisk together the cream, milk, and sugar. 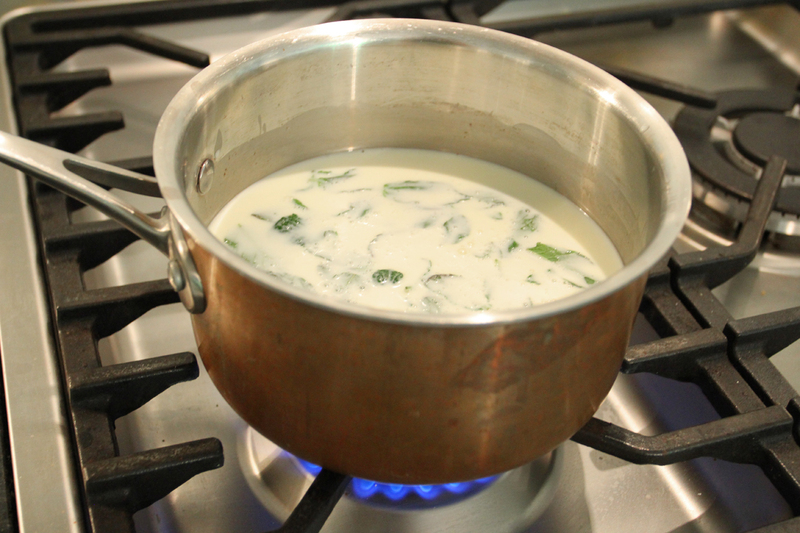 Add the mint leaves, then heat the mixture slowly over medium heat, stirring periodically. Just as it starts to boil, remove from heat and leave it to steep for 1 to 2 hours. This will infuse the mint flavor into the cream base. 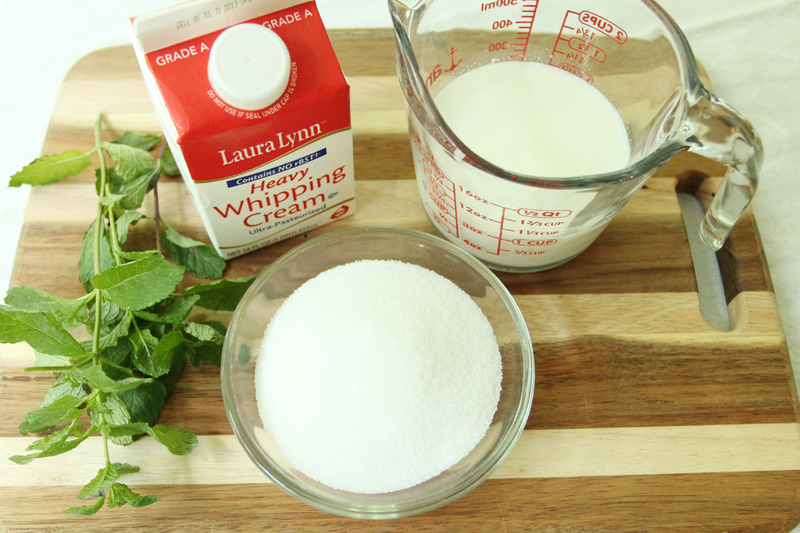 Next, strain out the mint leaves and refrigerate the cream base for at least 2 hours. To make the the ice cream, simply follow the directions for the machine. For this machine, that means pouring the cream base into the freezer bowl and turning it on! Leave it to do its magic for about 20 minutes, then when it looks like it’s almost finished, pour the chocolate chips into the hole in the top. Just out of the machine, the ice cream is slightly soft and creamy. And absolutely delish. You can also re-freeze it for a harder consistency. That is, if there is any left. It’s cool, fresh, and minty-licious. Hope you like it, too! If you try it with other types of ice cream makers, let me know how it turns out! This entry was posted in Uncategorized and tagged Entertaining, Herbs, Ice Cream, Recipes, Summer. Bookmark the permalink. Follow any comments here with the RSS feed for this post. Post a comment or leave a trackback: Trackback URL. We also have that from Williams-Sonoma. Our favorite that we have come up with is chocolate chocolate chip raspberry. Too good! This looks amazing as well. Thanks for the share! I love this recipe! Mint choc-chip is my favorite. I seriously need to bust out my ice cream maker. Thanks so much for sharing!